Niche brand American apparel makers face increase costs due to two macro economic factors. First, transportation budgets are out of control. I looked back three years ago and freight was 2.9% of sales, last year it was a whopping 5.5% of sales! That's a 90% increase in three years. That pinches an 8% profit by 2.6% to 5.4%, ouch. Second, the rapid decline of the dollar is making raw material prices spin out of control. For the last two years we've seen 15% annualized inflation for textiles coming out of Asia and Europe. Textiles and findings represent approximately 50% of an apparel items cost and it hurts to see 15% price increases. As depressing as this sounds, there is a huge opportunity for the nimble footed small apparel maker. Look outside of the United States and export your products! Five years ago it took 1.25 Euros to buy a US dollar and 1.40 Canadian dollars to buy a US dollar. 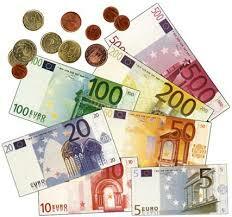 Today it only takes 0.70 Euros to buy a US dollar and 1.0 Canadian dollar to buy a US dollar. Five years ago if an item sold for $50 (USD) it would be equal to 63 Euros and 70 Canadian dollars. Today the same item would equal 35 Euros and 50 Canadian dollars. You see, without discounting American products are 45% less in Europe and 30% less in Canada than five years ago. This is a once in a lifetime opportunity for a small business to build a brand outside the United States. Here are a few tips, from a manufacturer whose been bumped and bruised but started exporting last year. 1) Act Local: Price your product in the local currency and ship from an address within your new customers country. 2) Europe is not a Country: The United Kingdom, Germany and France are three different countries! Just like the United States, Mexico and Canada are three different countries. 3) European Quality: Specialty store quality expectations throughout Europe are far higher than in America. Where we view clothing as a disposable item, in Europe clothing is an investment that should fit perfectly and last indefinitely! 4) Sales People: In Canada they're called sales reps, in the European Union they're called sales agents. Show them the best America has to offer and give them a work of art sell! 5) Ugly Americans: Respect the business customs of your new customers. We, the American, are the supplier and you should expect to be treated like any other supplier in the country you sell within. Remember, woman aren't treated equally throughout the world, class societies still exist and we are foreigners that don't speak the local tongue. Be polite, considerate and thankful for the opportunity because you are the guest of another country! Export now because in five years you will have a global brand and have built up friendships throughout the world. This is a once in a lifetime opportunity. Seize the moment.